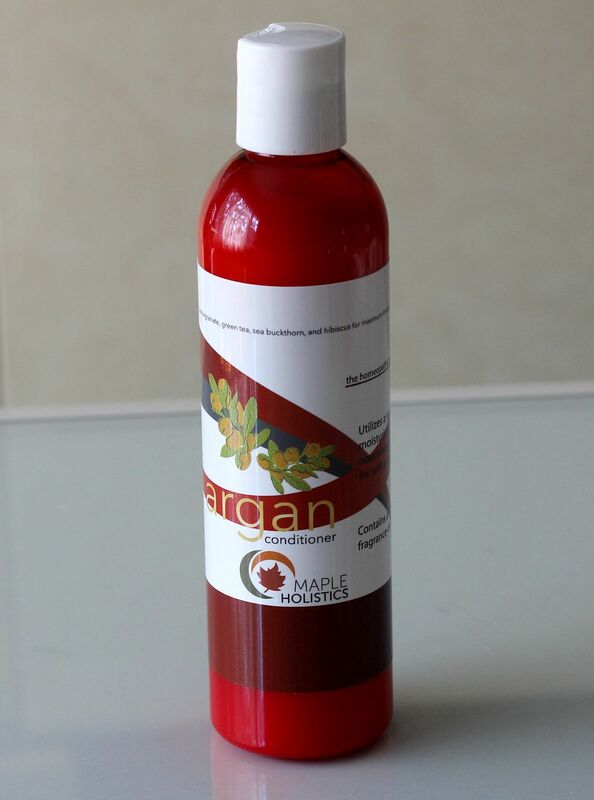 Maple Holistics Argan Oil Shampoo + Conditioner | Review + Giveaway! I've been trying out many different natural hair products over the last few months as I am always curious to see what's out there and really enjoy when I come across companies that might not be known by most. I've been sticking to mostly natural products and have had great results from using a variety of non-toxic brands. 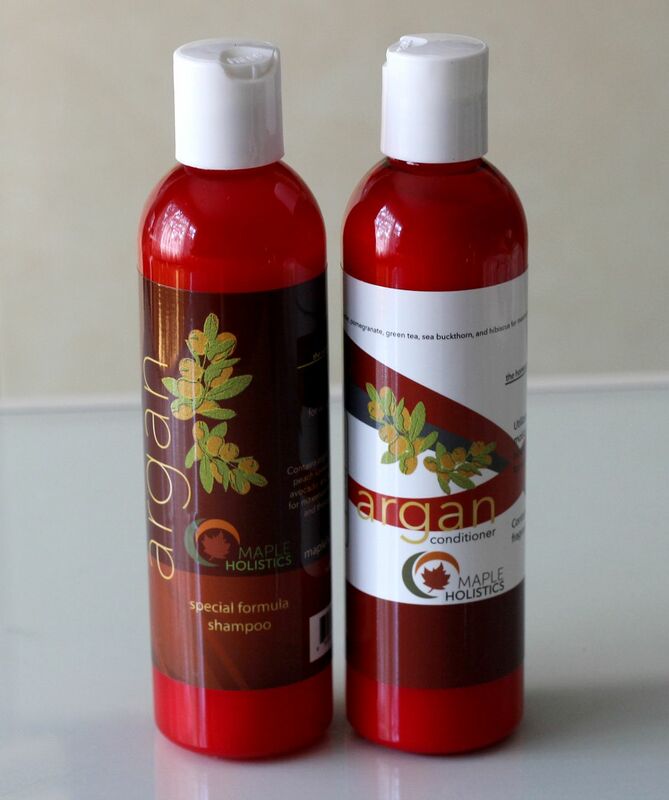 The current duo I've been testing out is the Maple Holistics Argan Shampoo* and Argan Oil Conditioner*. All of their products are cruelty free and they also have many vegan options to choose from. Better yet, Maple Holistics is kindly offering one of my readers the chance to win a duo of their own, so keep reading to find out how you can enter! The Argan Shampoo has a very delicate nutty vanilla scent and what I love so much about it is that my hair feels squeaky clean when rinsing it out but does not leave it feeling stripped and dry. The creamy white liquid forms a small lather so I don't need much to cover my entire scalp. It has therapeutic properties thanks to ingredients such as (you guessed it) argan, jojoba, almond and avocado to help soothe and restore moisture, so leaving it on the scalp for a good 2-3 minutes is recommended for the hair to absorb all of its benefits. The Argan Oil Conditioner on the other hand is fragrance free but still promises to leave hair looking shiny and feeling soft and nourished. Again, ingredients are not limited to only argan oil: it includes jojoba, aloe vera, shea butter, pomegranate, green tea, sea buckthorn and hibiscus packed full of vitamins and essential fatty acids. The botanical keratin in it also helps maintain strong and healthy strands and prevent breakage. Just like the shampoo, it is best to leave it on for a couple of minutes for optimal results. This is actually the first time I've tried a fragrance free conditioner but since the shampoo is naturally scented, the aroma still comes through and lasts until the next wash. I really adore this duo, probably the best shampoo and conditioner I've tried! I can tell it is made with quality ingredients with how lovely it makes my hair look and feel. All you have to do is fill out the little box below. Once you complete the first three mandatory entries you will have more entry options to complete. Have you previously tried natural hair products? Any recommendations? I love the ingredients used in this! I love the packaging and the fact tat there is argan oil in these products. I really like the ingredients. I love argan oil as well as the rest of the amazing list of ingredients. Seems like this would be great for a wide variety of hair types. That it contains argan oil is appealing to me. I love that they contain argan oil in the ingredients! I use an argan oil leave-on treatment to my hair after washing - I love that this set already has argan oil in it & could allow me to skip this step! Although I am not one to have to have all natural ingredients to even try a product, I do like that these are all natural products. Thanks so much for this opportunity. I like how it help soothe and restore moisture. I could use that. I love argan oil as well as the rest of the amazing list of ingredients. I love the ingredients, especially argan oil. These products seems like the one I have to try! I love the idea that it's fragrance free! 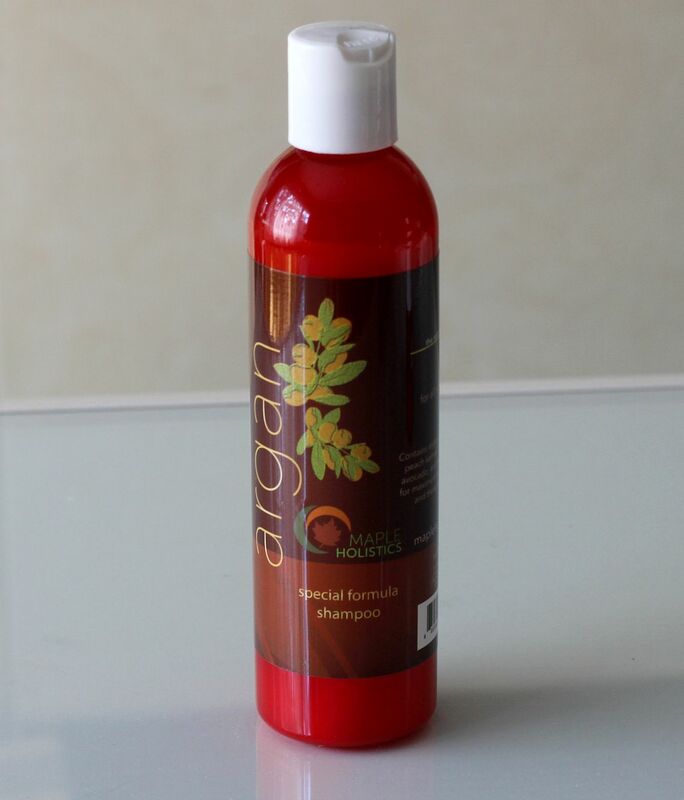 Love the botanical keratin ingredient to prevent breakage and the argan to nourish the hair! The packaging is gorgeous! Love the ingredients. I find it super appealing that it sounds like it would add moisture. My dry Summer hair certainly needs some. Thank-you!! I like that its so nourishing with, argan oil: it includes jojoba, aloe vera, shea butter, pomegranate, green tea, sea buckthorn and hibiscus packed full of vitamins and essential fatty acids. First of all, Argan is a reliable brand. Secondly the rich ingredients of these products makes them more appealing. Most appealing is the fact that they are non-toxic! The Argan Oil is most appealing because its known as Liquid gold, and I'm very fascinated about it. Hi! I like that they include argan oil and aloe vera and other great natural ingredients. It sounds fabulous and would love to try it. Thank you! The scent of the shampoo sounds really nice, I use argan oil in my hair and it would be really nice to have it just in my shampoo and conditioner. The most appealing thing I find about these two products is the fact that they contain only natural ingredients, which work best for my hair! What's most appealing is the Argan Oil hah! I've only tried the oils once but I fell in love! The quality of the ingredients are appealing and that the natural scent lasts till the next shampoo. I want to try the Argan Oil - I never have before and have heard such great things.